Dipper and Mabel Pines will be back in the Mystery Shack and I couldn't be happier. The gleefully offbeat Gravity Falls finally returns for its second season on Disney Channel August 1st at 9 p.m., ET/PT, followed by its debut on Disney XD August 4th. 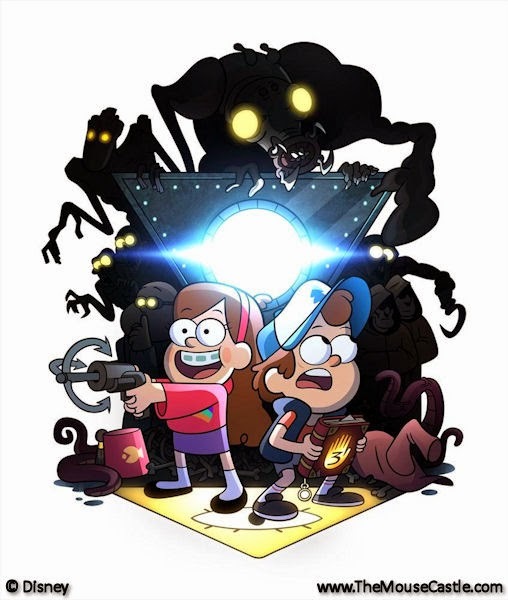 In season two, insecure, neurotic Dipper (Jason Ritter) and fearless, free-spirited Mabel (Kristen Schaal) delve deeper into the mystery of Journal #3 while their shifty Great Uncle Stan (Alex Hirsch) cooks up some secrets of his own in the basement of the Mystery Shack. Gravity Falls is promising more more monsters, more magic and some pretty cool guest stars in season two. Both Mark Hamill (Star Wars) and Patton Oswalt (Ratatouille) will make voice appearances. To get you primed for the new episodes, Disney XD is holding a Gravity Falls marathon July 26-27 from 10:00 a.m. to 8:00 p.m., ET/PT, featuring every first season show and short. Yes, I will be tuning in. I'd call Gravity Falls a guilty pleasure, but that suggests there's something wrong with it. It's Disney Channel/XD's best animated series (sorry, Phineas and Ferb) and it'll be great to welcome it back.